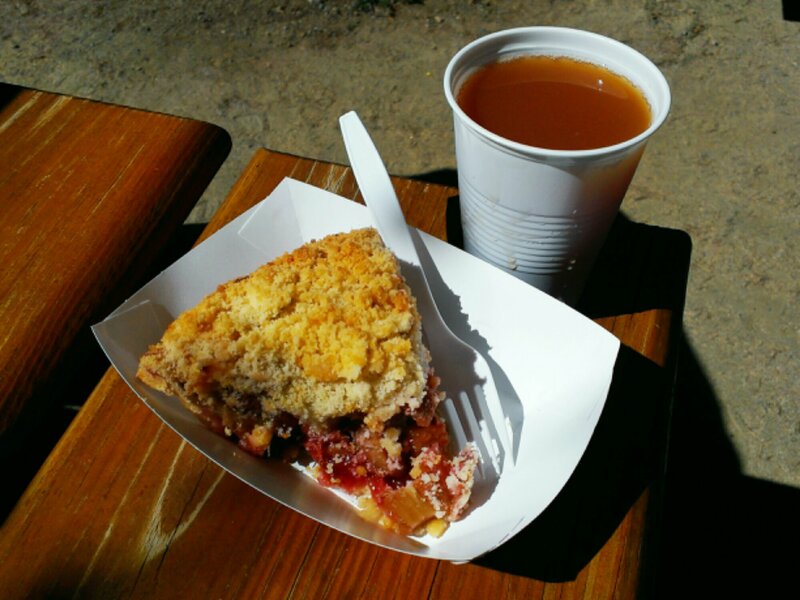 It was a beautiful first day of fall morning and my buddy Jason of http://saturdaynightfoodies.com asked if I’d accompany him on a run out to Julian, CA to grab some cider and apple pie before the weekend crowds descend to congest this tiny yet quaint village for the seasonal pies they are known for. 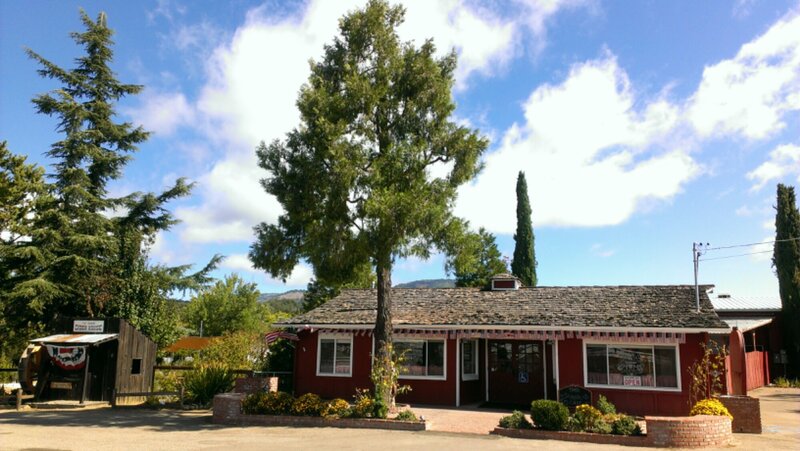 Julian is located just south of the Volcan Wilderness Preserve, in San Diego County, it’s a quick and scenic two hour drive from home in Orange County. After an hour on the freeways and an hour on a single lane, scenic mountain road, into Julian we arrived. Sure enough, since we left at 8am, the village seemed almost deserted. Church hadn’t let out yet and the tourists hadn’t quite arrived from sleeping in on a Sunday morning. 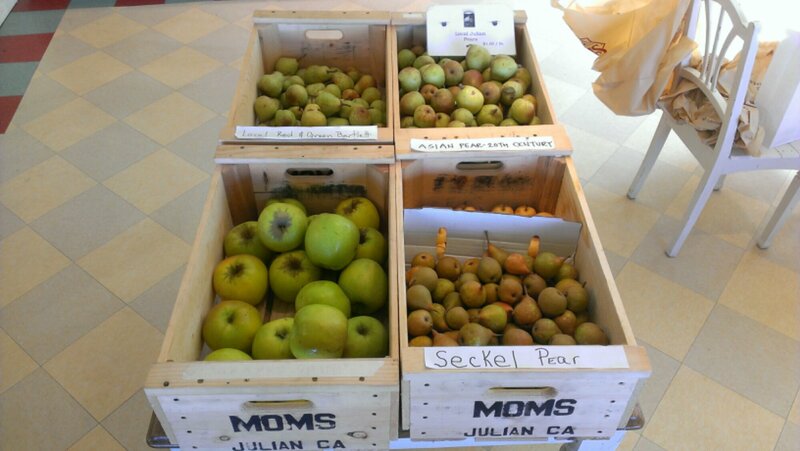 We hit the Julian Cider Mill General Store to sample cider and apple butters before purchasing gallons and jars of both, and with that we are done with Julian, out of town we go. 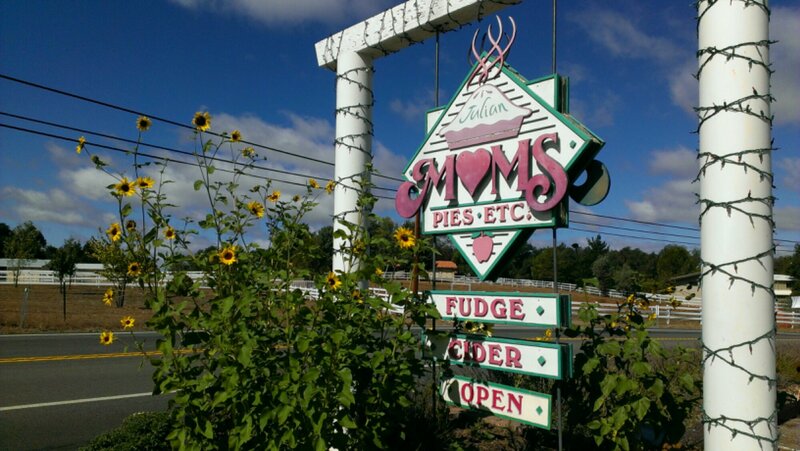 The most beloved of the apple pies available in Julian are the ones made by Mom’s Pies http://momspiesjulian.com on Main Street but what many seem to miss (by the crazy long lines snaking out and down the sidewalk) is that they have an outpost just outside of town that most pass on the way into town, same deliciousness, no wait. 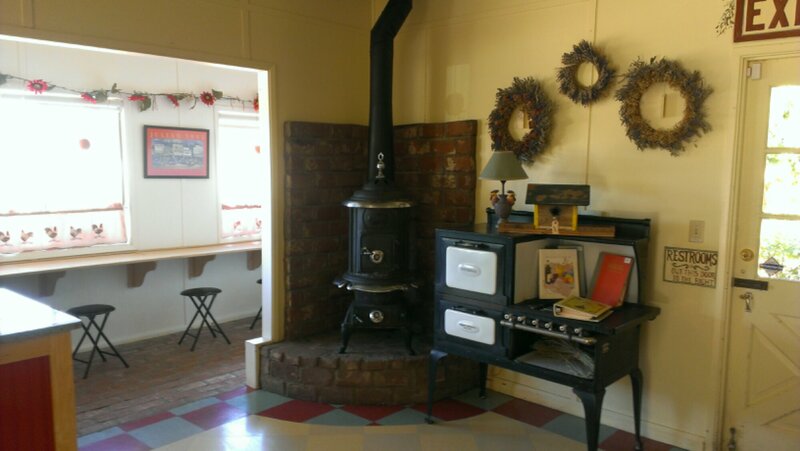 It’s a cute & cozy place with friendly helpful staff. The crumb topped apple pies we ordered still needed 15 more minutes in the oven (can’t get any fresher than that) so Jason and I opted to kill the time with slices of pie and cups of fresh apple cider. 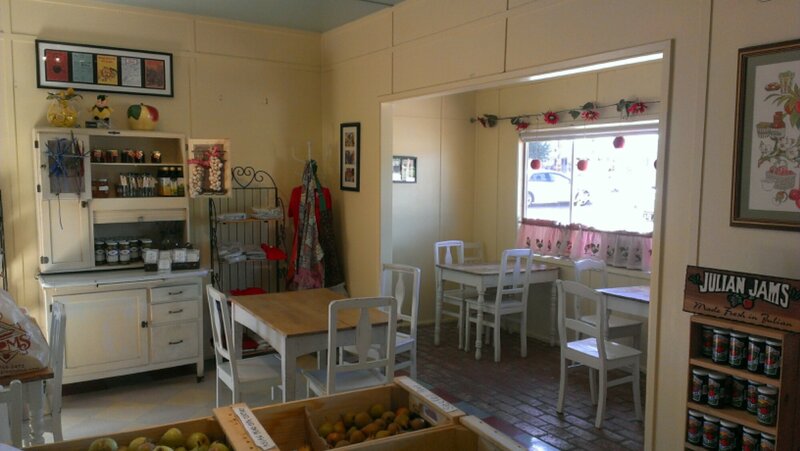 They have a peaceful herb, flower & fruit tree garden with picnic tables to enjoy your sweet finds in, with bees-a-buzzing and birds-a-flitting, it’s a truly enjoyable eating location. Since I was buying two whole pies of my first love , apple, I opted for a slice of my second love, strawberry rhubarb. It wasn’t too sweet and was well balanced between the rhubarb and strawberries. With our pies hot & bubbly from the oven, we get back on the road for home. Jason was also looking for raw honey for him and his wife’s many craft cocktail experiments and recipes. 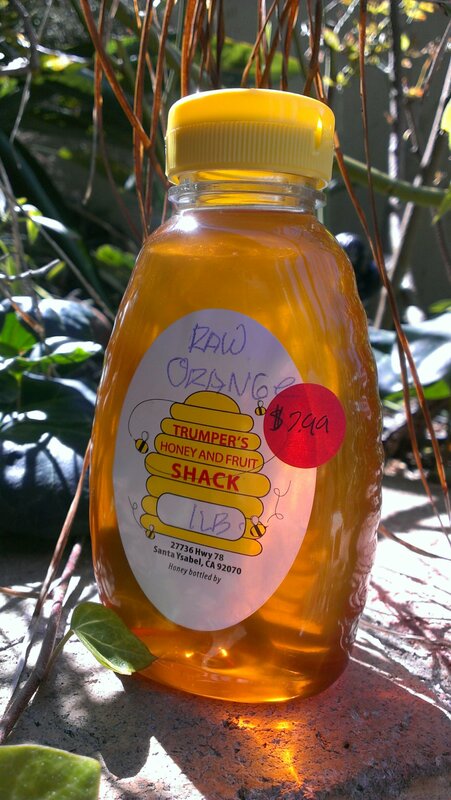 We found it at the tiny Hwy 78 roadside Trumper’s Honey & Fruit Shack in the township of Santa Ysabel. Walking into this tiny wood structure (it truly is a shack) we are a bit overwhelmed by the bottles upon bottles of the different honeys. 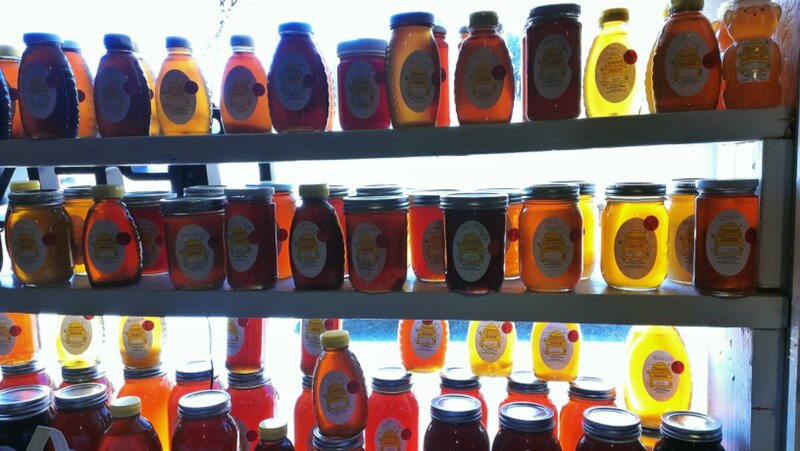 There are about 8 to 10 honey bottles to sample of their many flavors (avocado, chipotle, habanero, citrus, lavender and others). I purchased one of raw orange, it was bright and beautifully light on the tongue. They also sell quite a few different and unique meat jerky with boar, ostrich and kangaroo catching my attention. I’m not normally a jerky fan, but any chance to try an “exotic” meat in a unique form, I’m totally game. 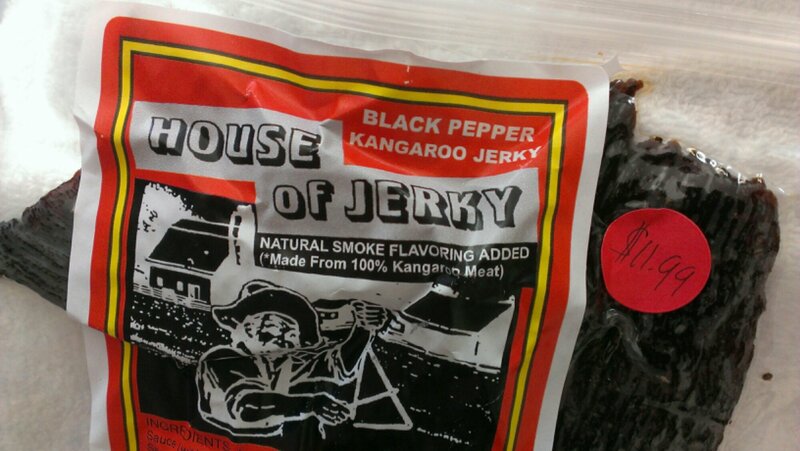 They have samples of the beef flavors to try but since the kangaroo was a new item, the owner had opened a package to try himself and was happy to share it with Jason and I. It was different than any meat jerky I’ve had. It was tender and the flavor was specifically marsupial (or so I’ll assume). I liked it and loved the lingering black pepper warmth throughout my mouth. I had to buy a package, now let’s see who will try it with me. What a fun day to kick off the Fall season and with it still early in the apple season, a return trip may be just around the corner.